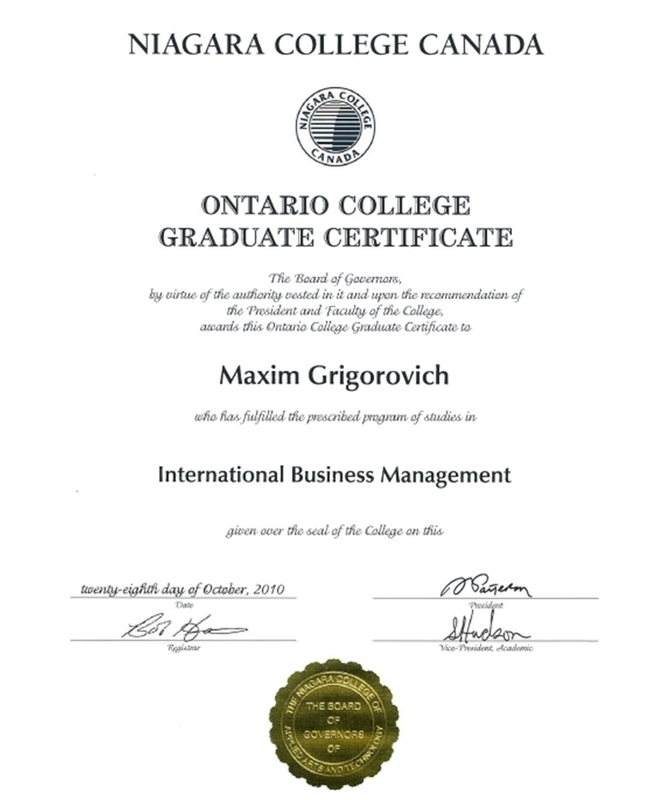 Obtained practical business administration knowledge. Achieved top among peers performance in the business strategy simulation (Business Strategy Game). Maintained highest among peers academic standing. 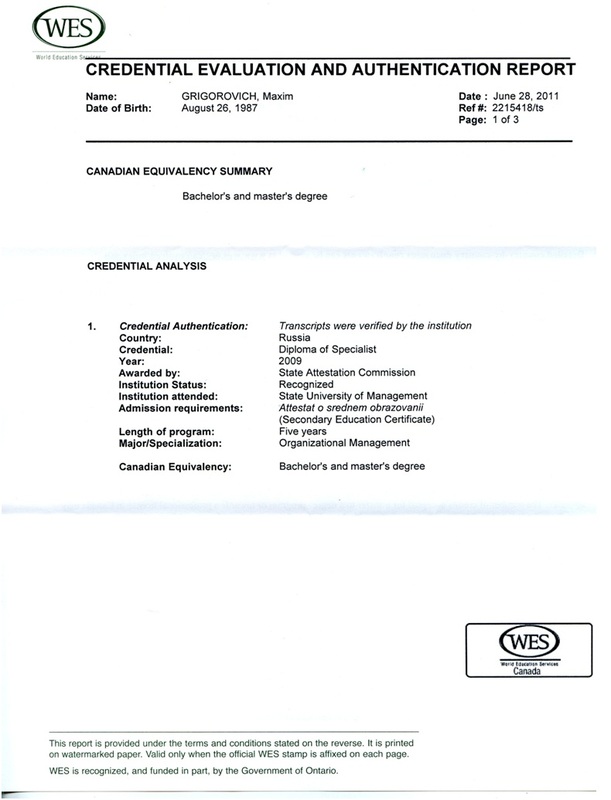 Gained good understanding of business and management specifics. Participated in Advanced Canadian Entrepreneurship club and was involved in several projects. 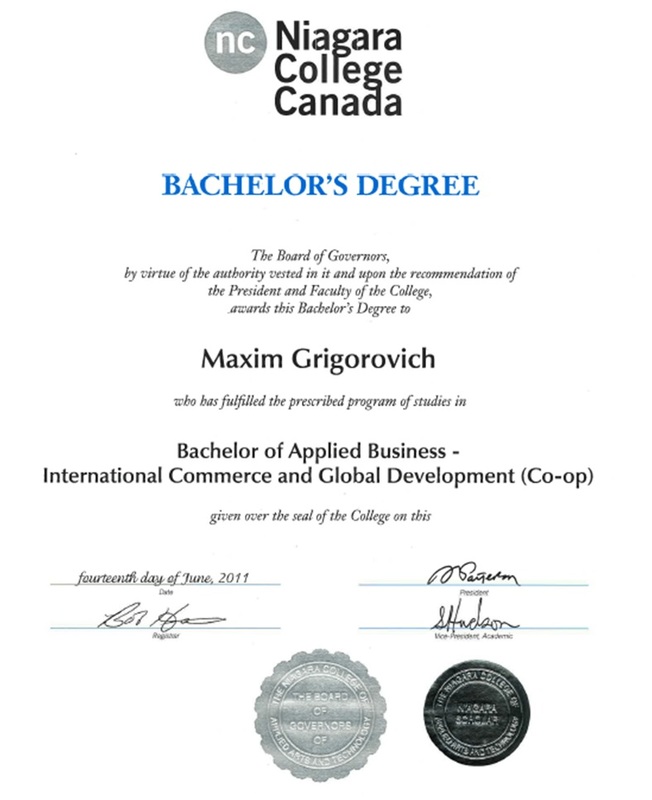 Successfully completed internship and acquired Canadian work experience. State University of Management, Moscow, Russian Federation. Successfully developed and presented a diploma project. Worked on several research projects individually and as a team member. Developed effective reporting and administrating skills.